1 Feb 2012 Given the data, check if it's steam or water, and give the temperature for boiling water. It usese the Clausius-Clapeyron equation and give the flow in the tube to reach the atmosfere. 2 Jul 2013 The best unit converter on earth! 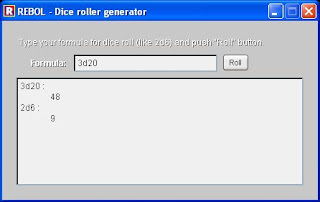 19 Jul 2012 From an idea of Adrew Martin a dice rolling generator for role-playing game like D&d or D20. 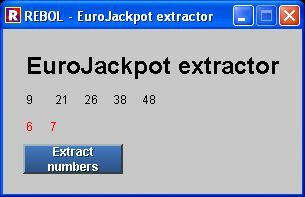 20 Jun 2012 EuroJackpot is a transnational lottery in Europe, Participating countries are (in alphabetical order) Denmark, Estonia, Finland, Germany, Italy, the Netherlands and Slovenia. 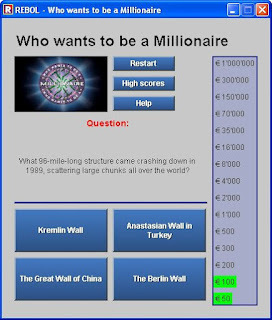 The goal is to choose the five correct numbers out of 50 plus 2 out of another 8 numbers. If you are lucky, please send me an email. 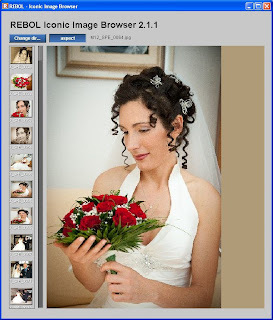 3 Dec 2012 Browse a directory of images using a scrolling list of icons. 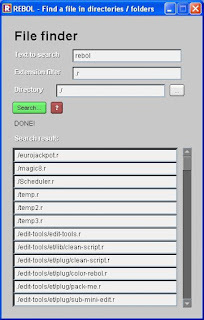 16 Jan 2013 General purpose listview with many features for use in VID. 26 Feb 2013 It's the old Magic 8 ball game, think your question and ask the game. 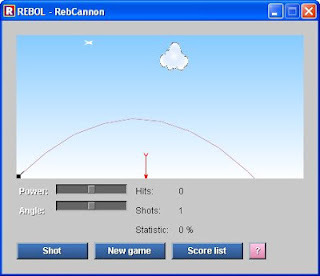 7 Sep 2012 A Rebol IDE for beginners that helps learning Rebol. I suggest you to put this script in a separete folder. 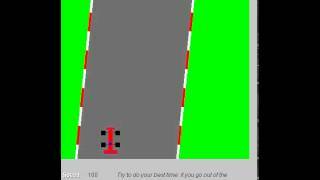 23 May 2011 Show rebol users faces!!! 21 Dec 2011 Scientific calculator in Rebol!